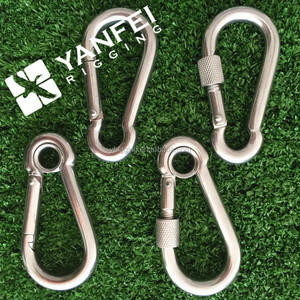 DIN5299 stainless steel snap hook 1, Stainless steel AISI 316, AISI 304 2, or Steel electric galvanized 3, High quality 4, On service for you SIZE(mm) W.L. 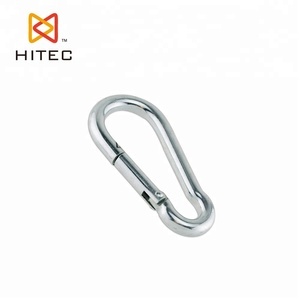 L(LBS) 4 80 5 100 6 140 7 200 8 250 9 280 10 400 11 500 12 600 13 700 14 900 Our main products : ENTERPRISE INTRODUCTION QINGDAO HITEC HARDWARE CO. LTD is a group company located in Qingdao, we produces drop forged, stamped, welding, machined, cast steel products. 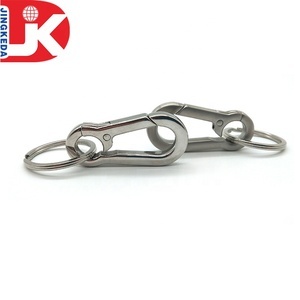 2 YRS Xiamen Nicety Hardware Products Co., Ltd.
&bull;Strong ability of independent research and development! 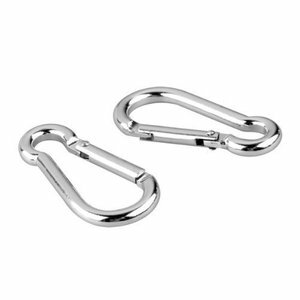 &bull;Our products: camlock coupling, rigging hardware, marine hardware, auto accessories ,as well as the machine parts . &bull;The products are exported to many countries and gain many trust and favorable receptions home and abroad. Specification Material A7075/A6061 Weight 27.4g Size 80.6*48.1mm Color Customization Sample Time About 3 days Fee 100% can be refundable when order quantity is over500units Lead time 15-25days after Payment Loading port Ningbo or Shanghai Shipping (1). Ocean shipping (2). Air shipping (3). 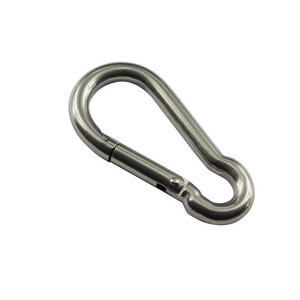 4 YRS Nantong Link Metal Products Co., Ltd.
Alibaba.com offers 29,915 snap hook products. 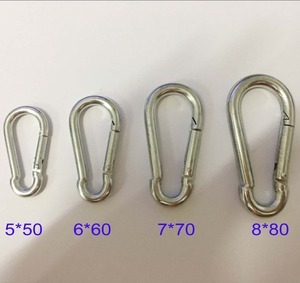 About 30% of these are hooks, 27% are bag parts & accessories, and 1% are other camping & hiking products. 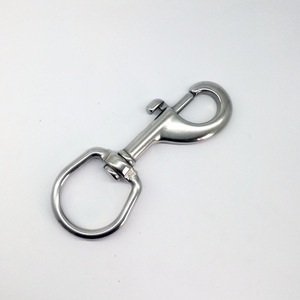 A wide variety of snap hook options are available to you, such as metal, stainless steel, and plastic. You can also choose from free samples, paid samples. 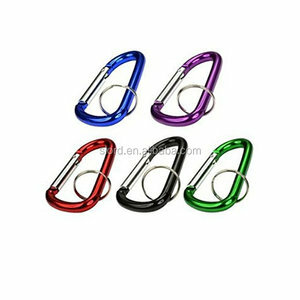 There are 29,915 snap hook suppliers, mainly located in Asia. 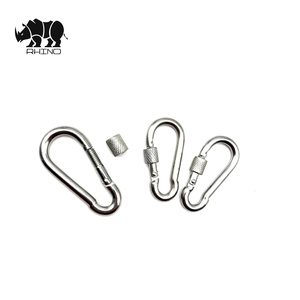 The top supplying country is China (Mainland), which supply 100% of snap hook respectively. 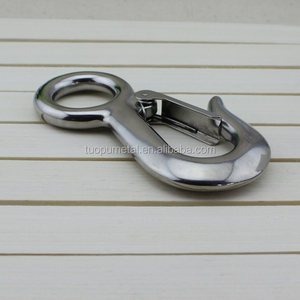 Snap hook products are most popular in North America, Western Europe, and Domestic Market. You can ensure product safety by selecting from certified suppliers, including 4,616 with ISO9001, 2,855 with Other, and 593 with ISO14001 certification.